Stereotypical Vegan-- Forcing Compassion on Everyone? 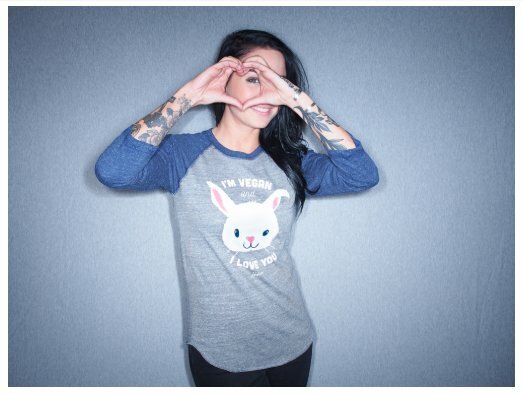 I'm Vegan and I Love you. Deal with it. Vegan stereotypes. Angry. Pushy. Hungry. Skinny. Pale. Hates people. Loves animals. Judgmental killjoys. Stereotypes be damned - we created this design years ago with an elephant on it (another vegan stereotype, the scrawny vegan, squashed by the herbivorous elephant). 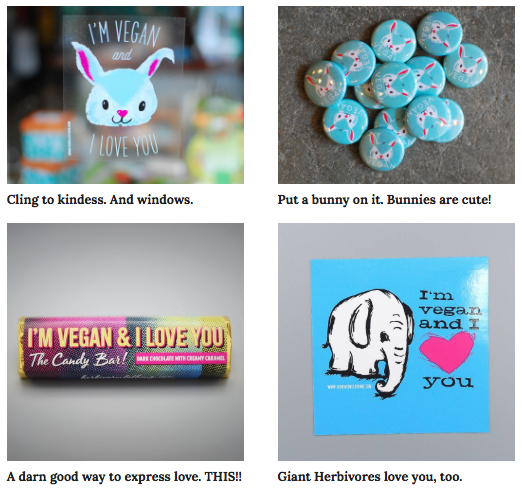 I'm Vegan and I Love You! Veganism stems from compassion. Kindness. Putting the needs of others (to live) before the desires (eat animals) of your own. Nothing very hateful about those qualities, is there?